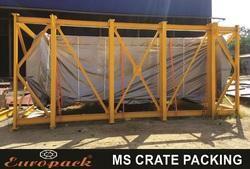 We are a leading Manufacturer of ms crate packing from Mumbai, India. One can avail from us a quality approved assortment of (MS CRATE PACKING. Owing to their top quality, our products are extremely praised amongst the patrons.